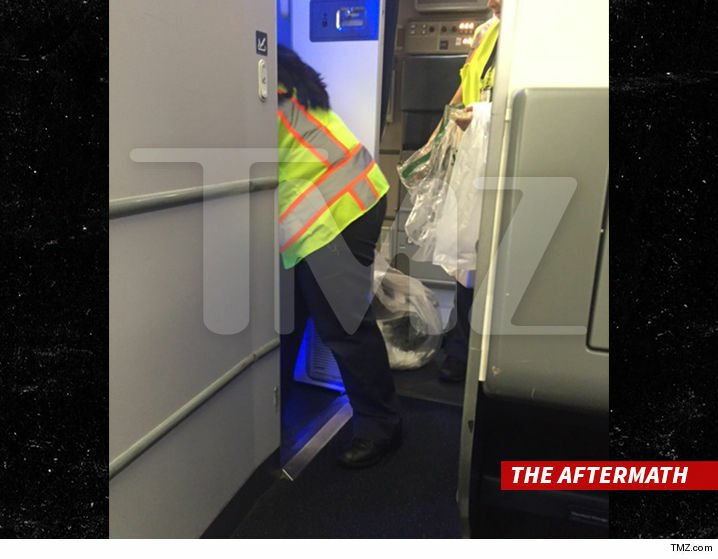 Photos;Lamar Odom Drunk,Vomits and eventually removed from Delta Flight!! OMG would this man ever learn to stay away from drinking,drugs and the likes,dint Khloe just make a decision some few days ago because he refused to change?? 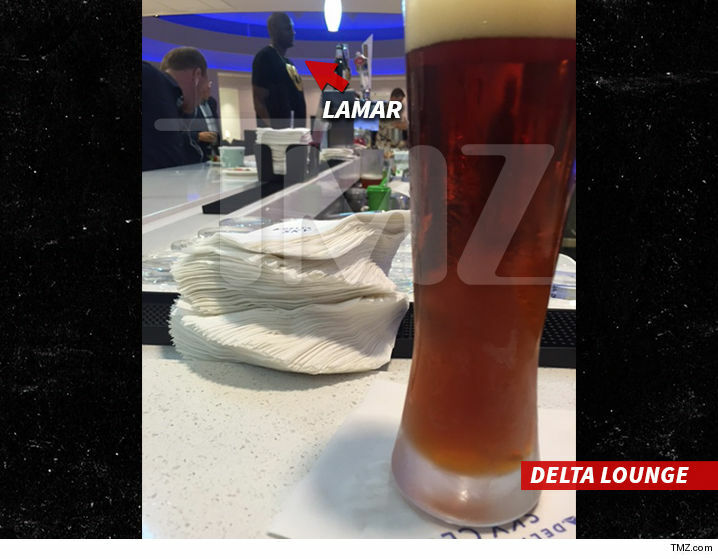 Exclusive report from TMZ below..
Two passengers in first class tell TMZ, Lamar went to 4B and sat down, but as the plane was about to pull back he bolted for the front, threw up in the galley and then walked in the bathroom and with the door open threw up again. When he came out of the bathroom, we're told he had vomit on his clothes. Iyamma! The passengers tell us the flight attendants "gently" escorted Lamar off the plane, and a cleaning crew came on board to deal with the mess. The flight attendants put Lamar's carry-on belongings in a plastic bag and removed them from the plane. Ten minutes later, Lamar suddenly reappeared and walked down the aisle with vomit still on his sweatpants and took his seat again. Minutes later, we're told Lamar got up and went back to the bathroom, using the heads of people in their seats to steady his balance. One of the passengers told the flight attendant, "Don't you know his history? I don't want a dead body at 30,000 feet." Lamar was again removed from the plane and the flight took off, arriving to NYC 40 minutes late." What the Hell Lamar! Some people just dont value second chances handed to them on a platter of Gold!